He baskets are the main supplementary components of container systems and they are necessary for a full set container. AYGÜN has focused on 3 main model in basket production. 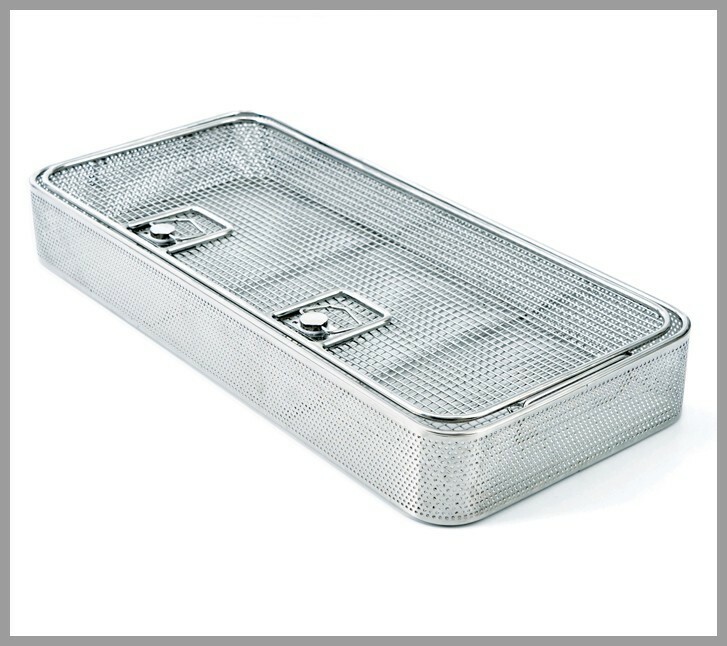 Two of these models are wire basket and perforated sheet basket. The third model is a combination of these two models with perforated metal plates on sides and with wire mesh on bottom. AYGÜN has the model and sizes of baskets in its standard production appealing to all container model and sizes. Also, it ensures basket production in demanded sizes besides standard production. The standard diameter of the wire used in basket production is 1 mm and mesh distance is 4 mm. But this distance can also be arranged according to the special demands. 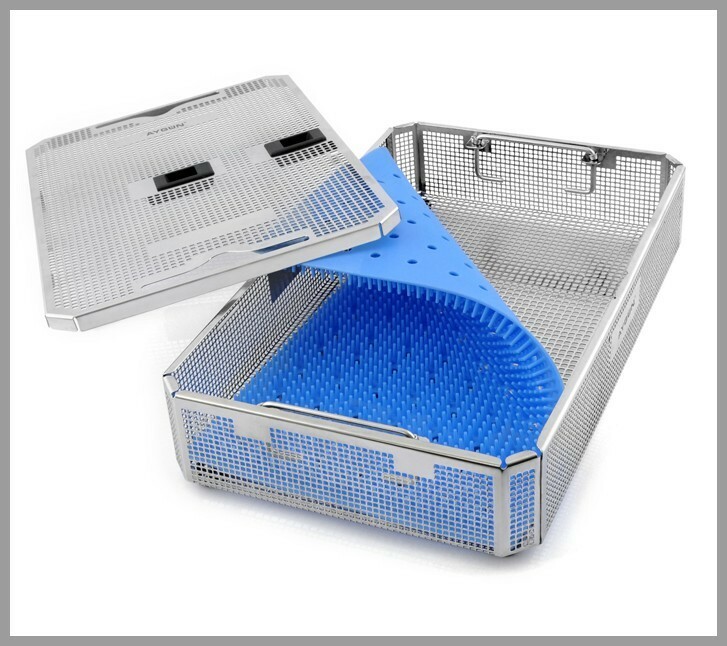 Besides, AYGÜN manufactures fine mesh baskets for small instruments, laundry baskets and endoscopic baskets. 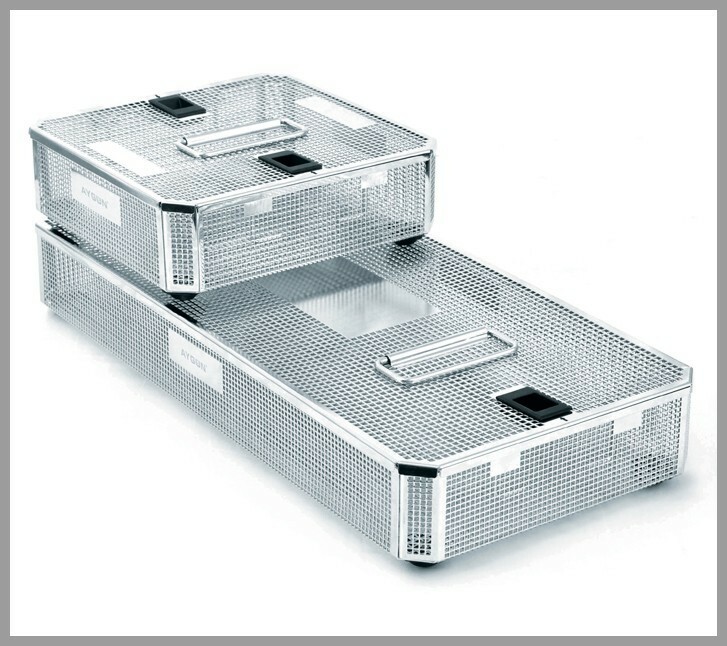 These baskets can also be produced in demanded sizes and mesh distances. Please contact our company for any special production basket.